What about providing a digital assistant for the billiard pool game? 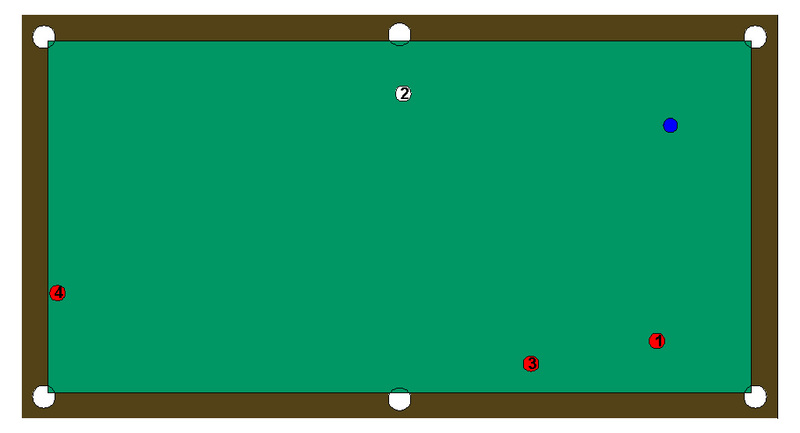 I developed and deployed a real-time system for measuring the position of the billiard balls on the pool with sub-millimeter accuracy. This was done in collaboration with Mirco Bruni (project funder), and Rudy Melli (Vision-E). The system deploys a 30 mega-pixels multi-camera architecture and in 5 seconds provides results. Positioning can be used for automatic point counter or for referee assistance. The system is unbeatable on medium-long range measurements; indeed, the human eye is very good at measuring short distances (by differential analysis) but completely fails when distances get bigger (tipically beyond half meter). 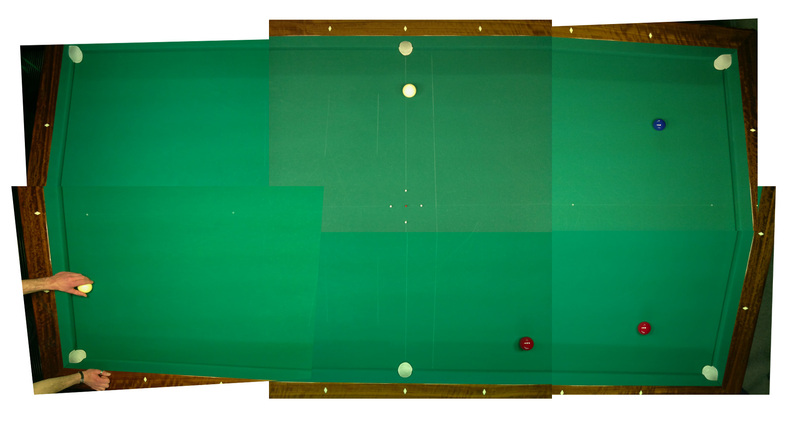 The first image down here depicts the pool from the 6 sensors (I performed manual stiching of the images just for the purpose of presentation), and the second image shows the virtual plot of the pool; the number over the balls correspond to the ascending distance from the blue ball. The white (marked as “2”) and the red (marked as “3”) have a distance from the blue that differes of a couple of millimeters. 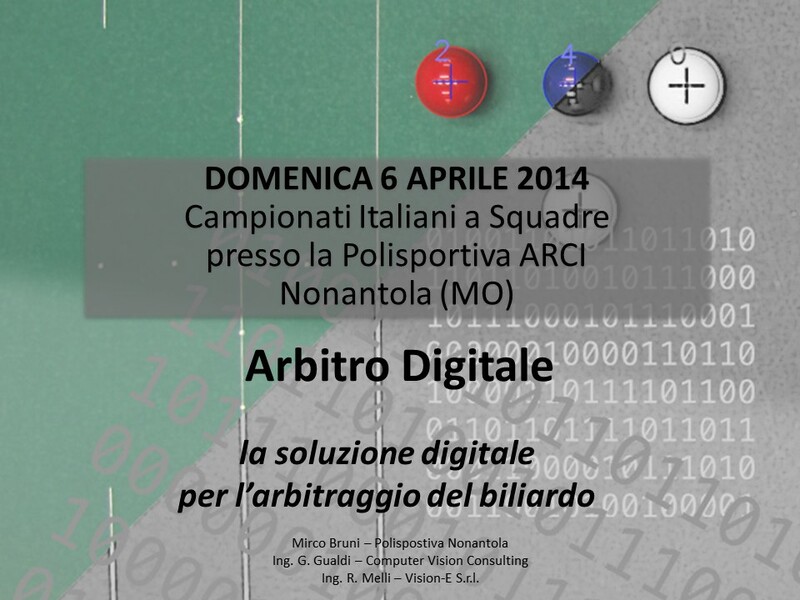 The system was deployed at the Italian Pool Championship, on April 6th 2014, in Modena. In all but one measurements the digital assistant provided the same results of the referee. In the only exception, the referee decided to perform a double check and changed his former decision, eventually matching with the automatic system response.